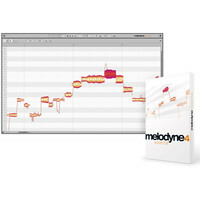 The Celemony Melodyne 4 Studio is a powerful expansive audio editing program infamous for its ability to modify notes even in polyphonic recordings for maximum control over recorded audio. 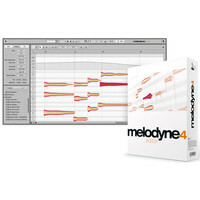 Version 4 of this legendary audio software is one of the most extensive updates in the history of Melodyne. The Sound Editor within Melodyne has been expanded with totally new sound design possibilities with the DNA (Direct Note Access) updated to be used on an unlimited amount of tracks. Also featured is an ultra-accurate tempo detector which is useful for remixing and working on separate projects. 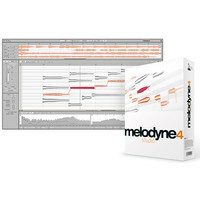 With its multitude of exceptional audio editing functions and its sleek re-design Melodyne 4 is the ideal tool for any sound engineer or music producer. 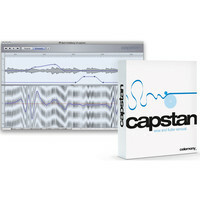 Celemony Capstan Wow And Flutter Removal Software is an audio restoration tool developed by Celemony for processing and revitalising old audio mediums such as vinyl and tape reels. A lot of great music has been recorded to vinyl and cassette the only down side is these mediums warping and warbling resulting in the loss of harmonic integrity and overall sound quality. Celemony Capstan has been developed to revilitise old audio with its unique restoration process resulting in clean polished audio. The software has been used previously to restore many recordings most famously for the legendary Frank Sinatra recordings from 1963. 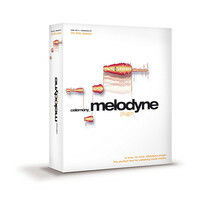 Celemony Melodyne Studio Bundle The Melodyne studio bundle contains Melodyne editor with DNA Direct Note Access as well as the multi-track Melodyne studio 3. It therefore offers you the full range of functions and uses of Melodyne technology for correcting shaping and arranging your audio material. All users who register their Melodyne after Nov 1 2015 will get the update to the new Version 4 free of charge. 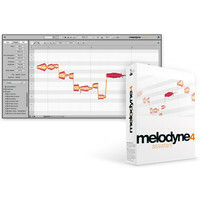 The Celemony Melodyne 4 Editor gives you the essential tools from Melodyne 4 Studio edition at a fraction of the price. This simple straight-forward software gives you all the tools for creative editing and audio correction in a streamlined version of Melodyne 4. Including DNA (Direct Note Access) tehcnology for polyphonic audio and ultra-precise detection and editing of tempos. The infamous algorithims from Celemony have made Melodyne one of the most sought after pieces of software on the market. The DNA technology lets you manipulate every nuance of your audio whilst retaining its natural tone and harmonics. Also featured is precise tempo-detection and editing which is ideal for live recording and grouped audio files that follow the same qualities.